Brightens and whitens teeth. 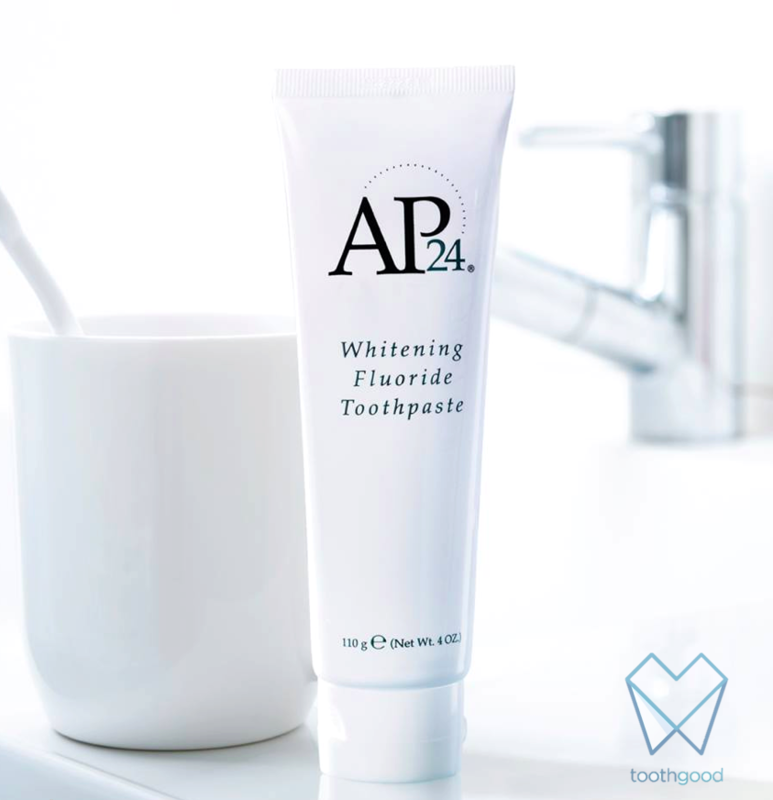 AP-24® Whitening Fluoride Toothpaste lightens teeth without peroxide while helping to prevent cavities and plaque formation. This gentle, vanilla-mint formula freshens breath and provides a clean, just-brushed feeling that lasts all day. 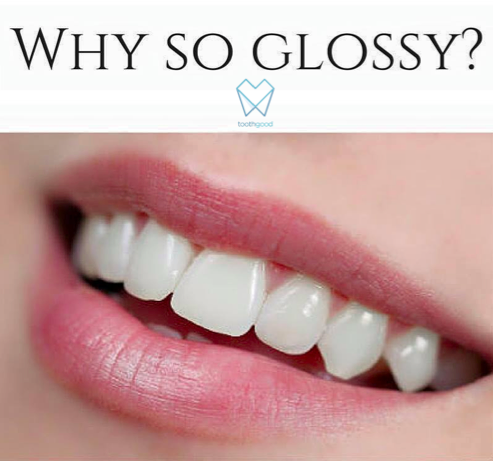 • Proprietary blend of hydrated silica and alumina (aluminium oxide) − a unique combination of mild abrasives that polish and smooth teeth without eroding enamel. • AP-24® − a patented plaque- ghting agent. AP-24® is a long-chain silicon-oxygen molecule that can wrap around teeth and hold tightly to leave your mouth feeling cleaner and fresher longer. • Sodium monofluorophosphate − an approved form of fluoride that can be used to ght cavities. Do not expect miracles. If you have a thorough dental hygiene routine already the results will be limited. It will not increase your tooth colour by a couple of shades. Where it works best is for someone who has poor oral hygiene and very stained teeth. Once the teeth are much cleaner after a few weeks of use, the effects will be limited and use of a normal and cheaper fluoride toothpaste can take place. Those with particularly white teeth be that natural or through cosmetic treatment will unlikely see a difference. 1. What makes Nu Skin’s whitening technology different? Many whitening toothpastes contain peroxide, a chemical that bleaches teeth, but can weaken tooth enamel and irritate soft mouth tissues. Peroxides should only be used in a professional setting. AP-24® Whitening Fluoride Toothpaste does not contain peroxide. Neither does it contain harsh abrasives − they remove stains, but erode and scratch teeth. 2. Will AP-24® Whitening Fluoride Toothpaste make my teeth whiter than they are naturally? No. AP-24® Whitening Fluoride Toothpaste is not an oxidising, bleaching agent (see previous question). However, if your teeth have been stained or darkened by exposure to certain foods or drinks, or to tobacco, AP-24® Whitening Fluoride Toothpaste will quickly remove the stains and return your teeth to their light, natural colour. 3. What is the RDA of AP-24® Whitening Fluoride Toothpaste? RDA (Radioactive Dentin Abrasion) is the scale used to measure relative abrasiveness of toothpastes. This scale starts at zero and is open ended. It is generally agreed that any product that falls below 250 is considered safe for everyday use. 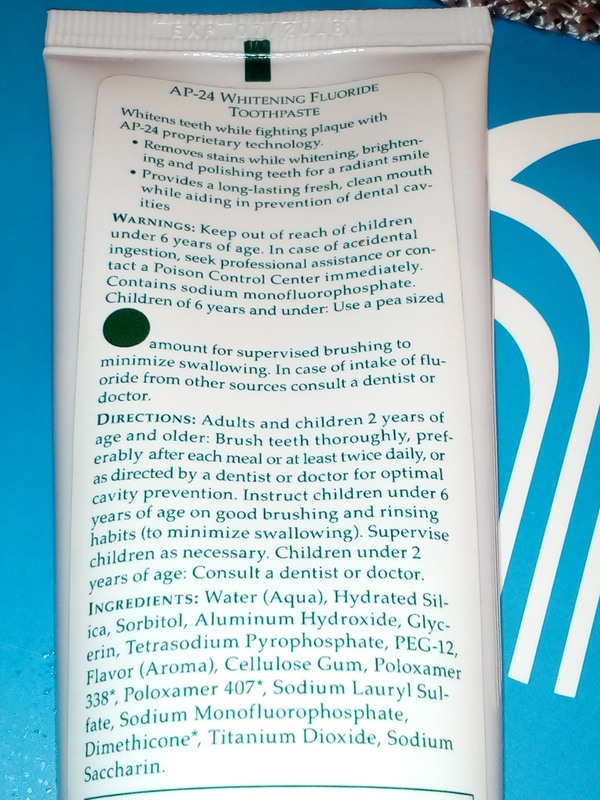 The RDA value of AP-24® Anti-Plaque Fluoride Toothpaste is between 103, which is considered mild. Also, an in vitro stain reduction test was performed to determine the percent increase in tooth brightness. The whitening effects were measured after brushing and our toothpaste resulted in 63% increase in tooth brightness. 4. Why is there fluoride in the toothpaste? Study shows fluoride is the only element (natural to the environment) that helps teeth to become stronger and reverse the process of demineralisation. I’ve seen patients who used organic no fluoride toothpaste with mouth rigged with decay. Fluoride doesn’t cause cancer, sterility or Alzheimers. For it to be fatal, you need at least 32-64mg/kg which is about swallowing 12 full tubes of toothpaste. Active Ingredient: Sodium Monofluorophosphate .76% (0.13% w/v uoride ion). Other Ingredients: Aqua (Water), Hydrated Silica, Sorbitol, Aluminium Oxide, Glycerin, Tetrasodium Pyrophosphate, Dimethicone*, Poloxamer 338*, Poloxamer 407*, PEG-12, Cellulose Gum, Titanium Dioxide, Sodium Saccharin, Sodium Lauryl Sulfate, Flavour. *A component of the patented AP-24® formula. Loves it non-SLS formula. AP24 toothpaste is white in colour and is not a rainbow like some other pastes. It did not froth as much as some pastes do, which I think it a good thing. The paste was not as minty or as fragrant as some other toothpastes. Although my teeth felt clean some pastes leave you feeling really dentist fresh (I hope you know what I mean), I did not get quite the same feeling. Please be aware that should you notice any abnormalities or extra sensitivity from using a different toothpaste you should stop and consult your dentist.